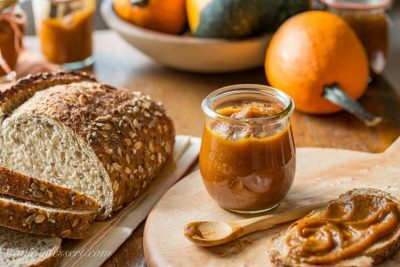 Maple Pumpkin Butter – deliciously rich, velvety smooth, not too sweet, and perfectly wonderful slathered on toast, biscuits, muffins, pancakes, waffles or stirred into your morning oatmeal. Pumpkin butter is also a great addition to recipes like our Pumpkin Butter Cinnamon Buns, or these tasty Pumpkin Macarons with Pumpkin Butter Buttercream, and let’s not forget our yummy Soft Ginger Molasses Cookies with Pumpkin-Butter Buttercream. 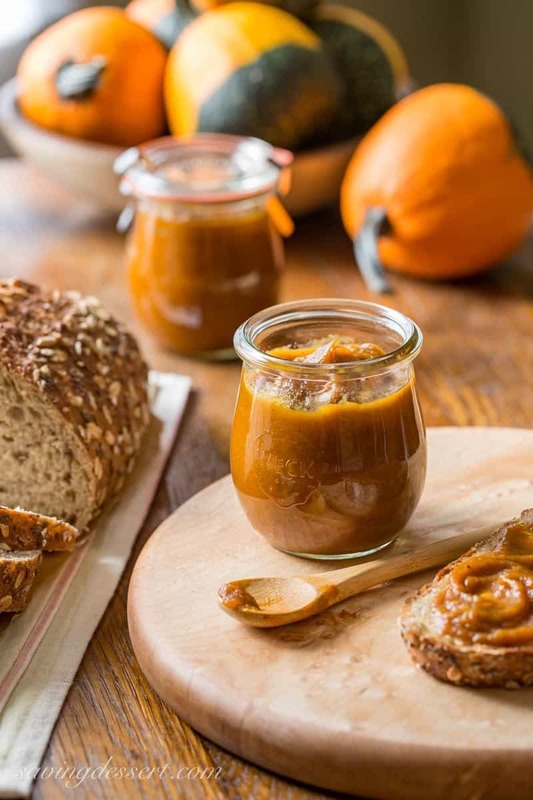 No need to worry about what to do with this small batch of Maple Pumpkin Butter! 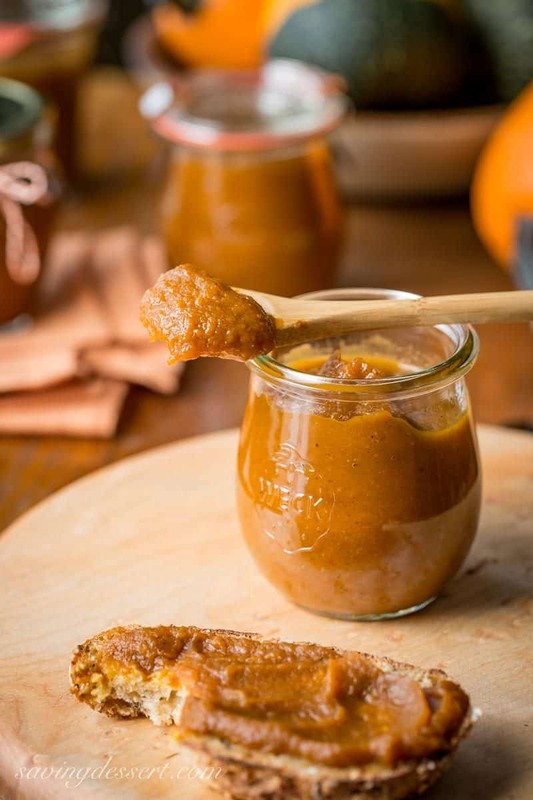 The recipe makes about 3 cups of Maple Pumpkin Butter, or 4 small jars. These are the perfect size to gift to your favorite family members, or your pumpkin loving friends. The base liquid is unsweetened apple juice so even non-pumpkin folks should enjoy it too. It has plenty of pumpkin flavor however, it’s tempered a little by the maple syrup, spices and apple juice. I used pumpkin pie spice which is easy to find this time of year but, you can also make a Pumpkin Pie Spice blend using your favorite recipe or this ONE, which I love. 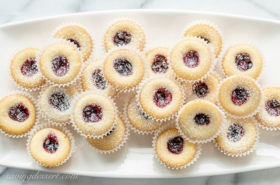 Butters are a wonderful way to use up your favorite fruits. 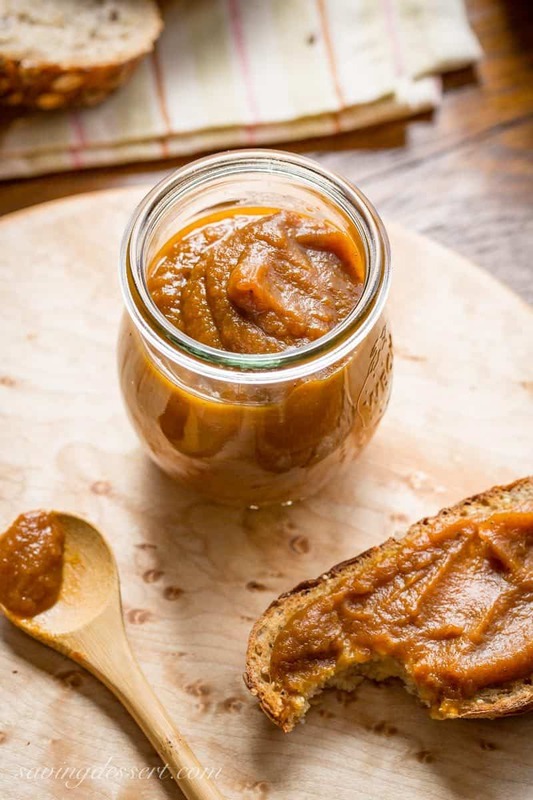 Much like apple butter, this spread is smooth, and light, and practically melts in your mouth. I can’t wait to hear how much you love it stirred in your morning oatmeal with a few toasted pecans! I’ve been making pumpkin butter for many years, but this recipe is my favorite so far. The maple flavor is subtle, and just enough to enhance the pumpkin flavor. I can’t think of an easier way to use a can of pumpkin puree! This truly comes together in less than 5 minutes, then simmers for 30. That’s it! 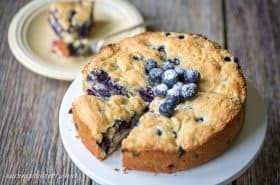 This recipe makes such a small batch, you won’t have any trouble using it up in a few weeks, however you can always freeze a jar or two for later. Here’s something I never knew before, traditional canning methods are not recommended for pumpkins or squash. To read more about why you should not can pumpkin click HERE for an article titled Cannon 101: Why Pumpkin Butter Can’t be Canned. 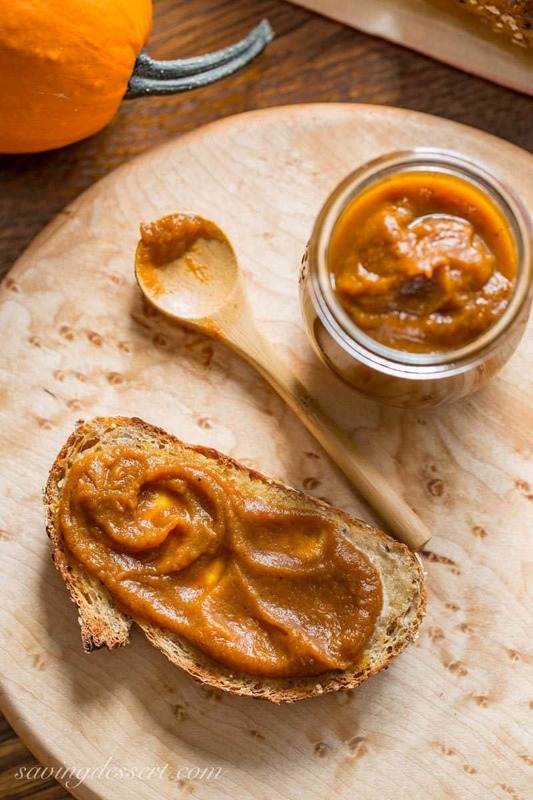 Our Maple Pumpkin Butter is not at all watery, and won’t drip from the spoon. It has a velvety consistency and fantastic taste. What can I say? I love it! Delicious spread great on toast, biscuits, scones, waffles, pancakes or swirled in oatmeal. Combine all ingredients in a heavy-bottomed, deep, medium saucepan. Cook on medium-high until it comes to a soft boil. Place a lid over the pan, leaving it tilted to vent. You want it open just enough to prevent a mess on the stove top. The mixture will be very thick and splatters like spaghetti sauce. Reduce the heat to low and simmer for 30 minutes, stirring occasionally. Add additional apple juice if the mixture is too thick. Store in airtight jars in the refrigerator up to two weeks. Alternatively, you can freeze the pumpkin butter. Traditional canning methods are not recommended for preserving pumpkin butter. Serving suggestions: spread on toast, biscuits, scones, pancakes, waffles or swirl into oatmeal. Also great to use in recipes calling for pumpkin butter. If you’re looking for more pumpkin recipes, click HERE and you’ll find all our favorites neatly stacked together just for you! I can’t get enough pumpkin so I’ve also put this No Churn Pumpkin Spice Ice Cream from The View from Great Island on my must make list! I found these Bakery-Style Pumpkin Chocolate-Chip Cookies from Chelsea’s Messy Apron and can’t stop thinking about them. Seriously, all day I think about pumpkin, canned pumpkin and all the recipes I want to make with it. Do you have a favorite pumpkin recipe? Please share a link in the comments so I can come drool over yours too 🙂 Thanks so much for stopping by! P.S. All the pumpkins and gourds featured in our post were volunteers in our garden this year. We harvested about 20 mini-pumpkins from one plant but we don’t plan to eat them, so no garden-to-table post. They make great seasonal decorations though. Such fun! Recipe sounds delish! Would apple cider work in the place of apple juice? I have a whole gallon I need to use. Hi Allison – yes I think apple cider would work too – and I bet it tastes wonderful 🙂 Enjoy and thanks for the great question! 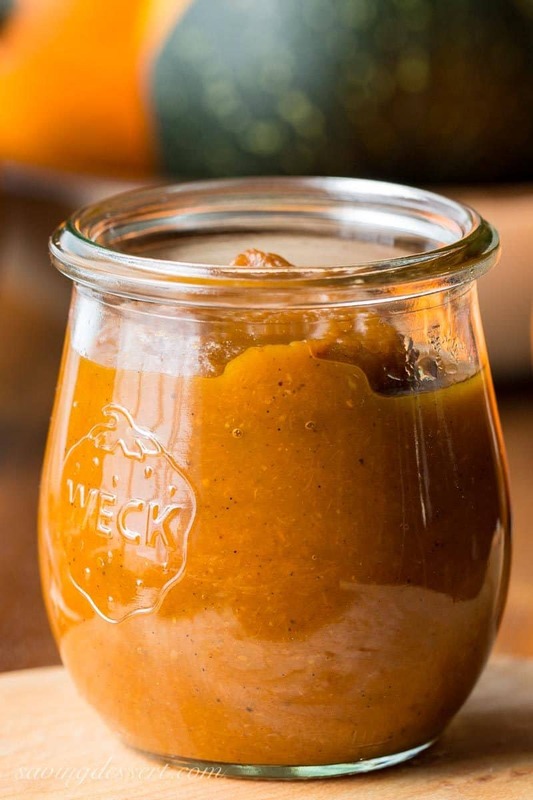 I never had pumpkin butter before or ever made any fruit butters, but yours sounds delicious! 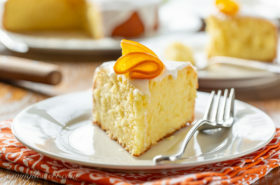 I have to put this one on my list of recipes to try- and soon! And your garden must by amazing! Happy Sunday! Oh then you must try this Anna! Fruit butters are so delicious, and fruity, and in this case it’s pumpkin-licious! I’ve never had homemade pumpkin butter, it really must be delicious. We love it Karen – glad to hear from you again. Hope you are well! I can only imagine how terrific your local maple syrup must be Jennifer. I bet it does make everything better! You’ve got me feeling all autumnal right now, Tricia. What a great way to celebrate fall. I always think summer when I think about eating “seasonally” and it’s easy to forget that we can really celebrate each season through food. 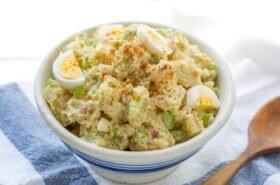 This is such a neat recipe and it looks like a wonderful spread for breakfast. Also, your garden sounds amazing! Thanks Monica! Love pumpkin season around here – haha 🙂 Have a terrific weekend! I can smell it from here! Sounds luscious and would be perfect for gift giving-or me! I have never made pumpkin or any kind of fruit butter. 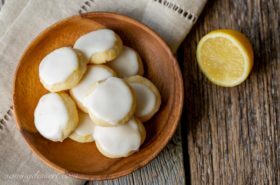 This recipe definitely has me wanting to try making some soon, Tricia! Oh I hope you’ll try it Susan. Fruit butter is so rich and smooth, and not as sweet as jam and jelly. Let us know what you think if you get the chance to make it! I have been obsessed with pumpkin treats lately…from salad, bread, cake, to dip…just can’t get enough of them. Your pumpkin butter looks fabulous, Tricia. Wow! 20 mini pumpkins, that is amazing. Love, love this pumpkin butter, never would of thought of making butter like this, very nice Tricia! This looks like it has such great depth of flavor, I love pumpkin butter swirled into my morning oat bran! Sharing and pinning all around! Beautiful and scrumptious looking! Wishing I had a jar of this for my breakfast toast. I bet it would be wonderful on yogurt too! Wow – great suggestion Chris! I’ll be trying that today 🙂 Thanks so much – have a happy weekend!